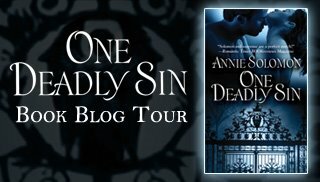 The fabulous One Deadly Sin Blog Tour begins today. What's my idea of earthly paradise? Who would I cast as heroine Edie Swann? Who is my biggest supporter? My greatest critic? And why did I become a writer instead of a cat sanctuary owner? All this and more on the ODSBT. So check out the schedule here and join the fun.